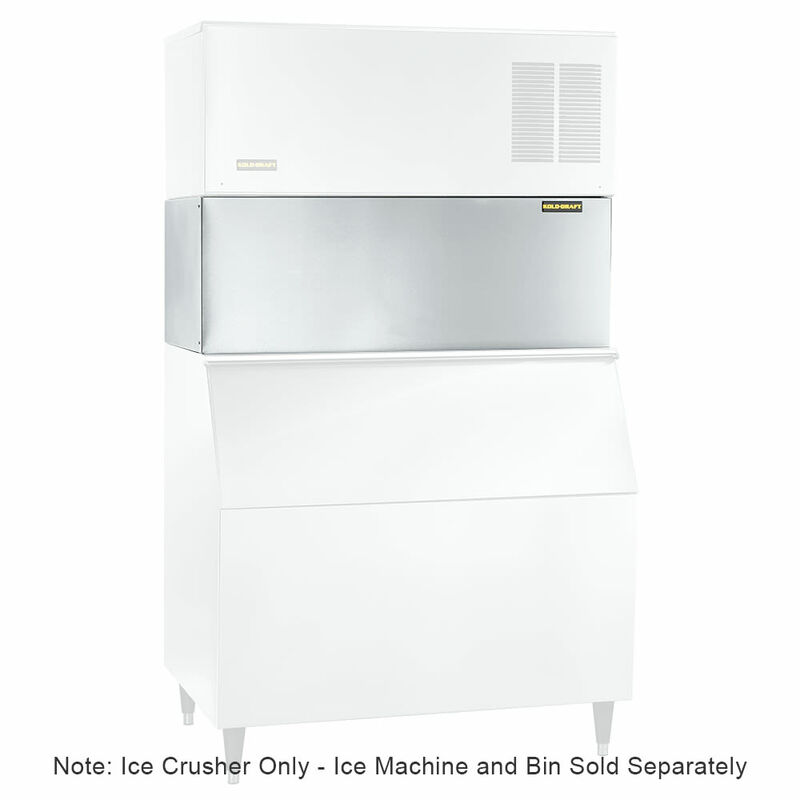 Since the Kold-Draft T284 ice crusher has a stainless steel construction, its exterior and interior components resist scratches, corrosion, and dents. It is compatible with Kold-Draft GB564 and GB1064 ice machine heads and bins. Its crusher mechanism has sturdy ball bearings that support heavy-duty crushing. When the panel is removed, the safety interlock feature stops the crusher. Crushed ice has a similar shape to flake ice, but it is harder and denser to slow melting. To learn more about ice machines and their accessories, check out our ice machine guide.